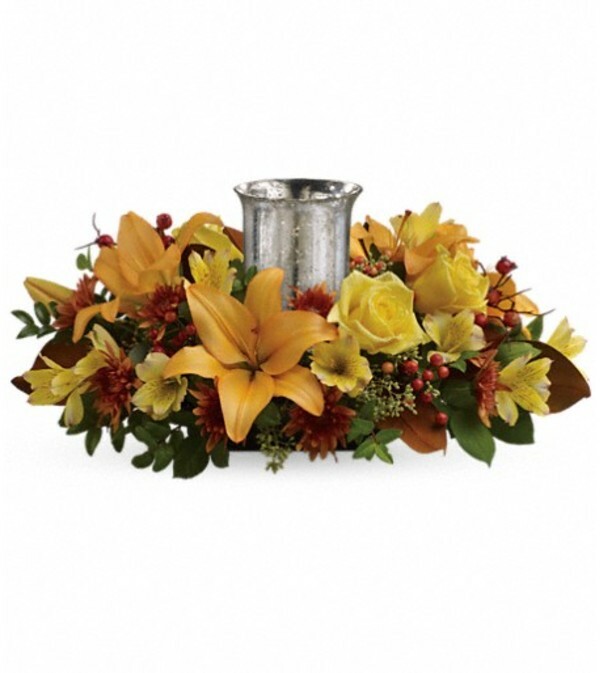 Give a fall gathering a special glow with this wonderfully vibrant autumnal centerpiece, featuring roses and lilies around a shimmering mercury glass hurricane. 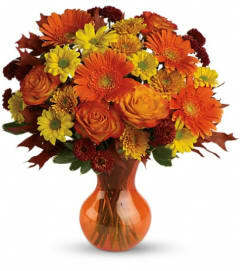 This beautiful arrangement features yellow roses, peach asiatic lilies, yellow alstroemeria, bronze cushion chrysanthemums, seeded eucalyptus, huckleberry and orange berries. 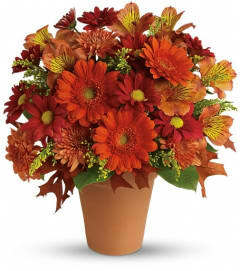 Delivered in an exclusive silver Mercury Glass hurricane.